Subtract kicks things off for 2017 with one of our absolute favorite producers from Berlin. 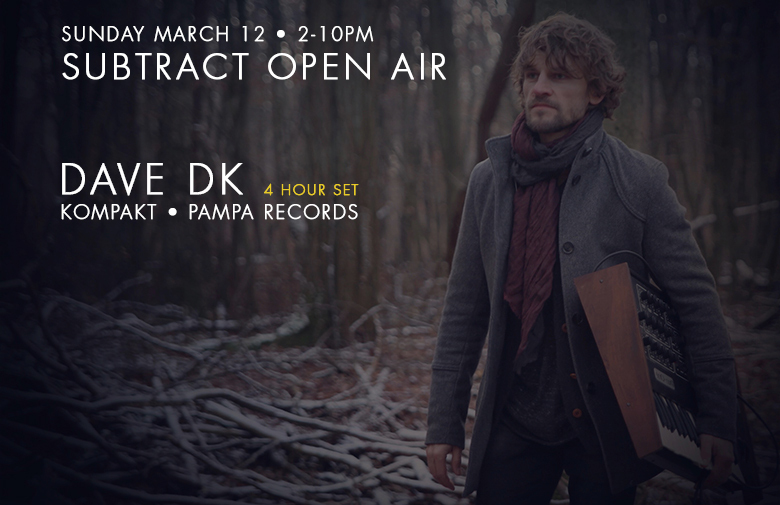 Dave DK has released timeless music on Kompakt, Pampa Records, Moodmusic, Suol and many others. We’re excited to welcome him back to LA with a 4 hour set. Located on the corner of Vine and Hollywood, The Library at The Redbury is a well-hidden, open air lounge and bar. Dance the weekend away on our custom tuned Danley Sound Labs sound system and cozy outdoor vibes.